ING Executive Director Maha Elgenaidi presented “Roots of Islamophobia in Anti-Blackness” at UC Santa Cruz. She contrasted Islamophobic stereotypes with the daily practice of many American Muslims and their focus on peace, love, and compassion. She then connected the roots of these misconceptions to orientalism, racialization, and xenophobia, which cause challenges for both Muslim and many non-Muslim communities. To request a presentation about Islamophobia, visit our site. ING Executive Director Maha Elgenaidi will present a series of cultural diversity seminars for local police departments to increase awareness of American Muslim culture, enhance cultural competency skills, and develop relationships with American Muslim communities. The upcoming seminars are on January 18th, 22nd, 23rd, and 24th. If you’re a police officer and are interested in attending any of the seminars, write to [email protected]. To book a cultural diversity seminar, visit our site. Members of the Interfaith Speakers Bureau (IFSB) will speak on a panel via webinar to a private high school in Delaware on “Women and Religion.” In history, religions have sometimes promoted and sometimes limited the rights and power of women. In this panel, adherents of major world religions discuss the ways that their faith has impacted and continues to impact women both negatively and positively and how religion can affirm and support women as they seek equality and freedom. To book an interfaith panel, visit our site. ING will be participating in a StopBullying.gov Twitter chat on bullying laws and policies with American Institutes for Research, Child Trends, GLSEN, Mental Health America, and Pacer Center. The chat will take place Thursday, January 31 on Twitter from 12:00-1:00pm EST or 9:00-10:00am PST. 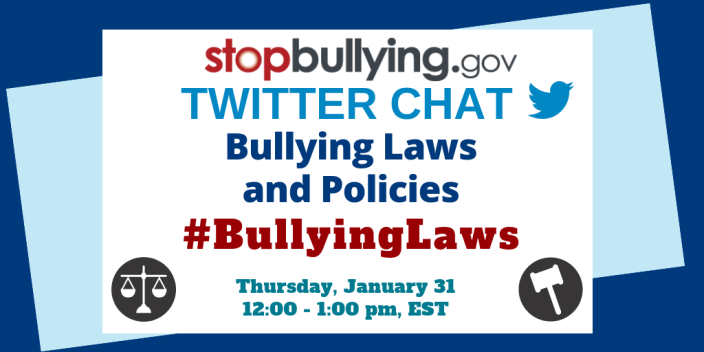 Use #BullyingLaws to join the conversation and ask your questions to experts on this topic. ING Executive Director Maha Elgenaidi will be among the speakers at the Hollyhock Equity in Education Conference for the Stanford Graduate School of Education. Her seminar will begin with a conversation about common stereotypes relating to Muslims and their faith followed by a conversation on Islamophobia and its roots, an overview of Muslim traditions and practices, as well as pertinent contemporary issues, and their implications for Muslim students. The seminar will also cover federal laws and education codes pertaining to teaching about religion and address the topic of religious practice in the public school system. It will conclude with tips for interacting with Muslim students in a post 9/11 environment while ensuring an inclusive and safe learning environment for all students in which they can fulfill their potential and perform their best. Teachers and administrators will have the opportunity to share their experiences teaching in today’s diverse classrooms. ING Deputy Director Ishaq Pathan facilitated an ING interfaith panel of Jewish, Hindu, Buddhist, Christian, and Muslim speakers who spoke via webinar on “Shared Values among Faiths” with senior residents at Bellwether housing in Seattle, WA. Panelists touched on common values, including mercy, justice, and gratitude, and ways of recognizing and promoting these values to pursue peace in our society. To book an interfaith panel, visit our site. ING Content Manager Ameena Jandali presented “Muslim Women Beyond the Stereotypes” to a high school in Ross, CA. She highlighted common stereotypes and their sources before looking at the status of Muslim women today, including ways they have progressed as well as the challenges they still face. The students were fascinated to learn about the many Muslim women leaders in diverse fields including a growing number of women who have served or serve as heads of state. To book a presentation about Muslim women, visit our site. ING Deputy Director Ishaq Pathan spoke at a high school in Milpitas about issues raised by a book they were assigned to read in class about a Pakistani Muslim woman’s experience living in the United States. During the presentation, students were excited to learn about famous American Muslims and interested to hear about the diversity of cultures and practices that Muslims follow. To schedule a presentation about American Muslims, visit our site. ING Community & Civic Engagement Manager Raania Mohsen participated in a panel discussion titled “Holy Cow! How do Hindus, Muslims, Jains, and Buddhists Eat?” in Los Gatos. This panel was hosted by SiVIC (Silicon Valley Interfaith Council) for the Jewbillee Day of Learning organized by the Jewish Community Relations Council. Panelists enjoyed an enlightening discussion on food, fasting, and vegetarian, vegan, halal, and kosher lifestyles. ING Content Manager Ameena Jandali described the challenges and impact of Islamophobia before giving an overview of American Muslims and their faith for a class on Peace and Conflict Studies at an East Bay high school. When asked about sources of Islamophobia, the students were quick to note examples, including the media and Hollywood representations of Muslims. To book a presentation on American Muslims, visit our site. ING Executive Director Maha Elgenaidi facilitated an ING interfaith panel of Jewish, Hindu, Buddhist and Muslim speakers on “Shared Values” at a high school in San Jose. Panelists answered student questions and addressed, among other issues, values that their faith inspires in them in everyday life and ways to promote the values that all major religions share. To book an interfaith panel, visit our site.